While we addressed in part 1 of our solar panels in deserts series the potentials and challenges for solar (photovoltaic) power production in desert environments, in solar panels in deserts – part 2 we looked at the available technologies to cope with the harsh environmental conditions in deserts and how to properly operate and maintain solar modules in such projects. In this part 3, we will focus on the proper preparation and qualification of solar PV modules to be employed in desert projects, looking at current testing procedures, critera, certifications such as IEC 60068 -2-68, and the related problems and challenges. Test procedures to qualify crystalline-silicon (c-Si) or amorphous-silicon (a-Si) for the operation in hot and mild desert environments are still very limited. Currently there is no specific certification standard yet for the abrasive effect of sand particles on solar PV components. However the sand trickling standards ASTM D968-05 and DIN 52348 are usually used to investigate the abrasion resistance of surface coatings such as paints and surfaces. More and more test institutes recognize the importance of abrasion resistance testing of PV modules. Sand Spray Chambers simulate the Abrasion Effect and will most likely be included in the IEC standards in the near future. New quality and safety standards that address the various climatic requirements of the many different deserts with all their own specific characteristics are currently developed. An existing standard is the IEC 60068 -2-68 (Environmental testing – Part 2-68: Tests -Test L: Dust and sand). This standard has been designed to measure the impact of particles- and dust-filled winds on electronics, including solar PV modules. In this test, the module samples are placed within a dust chamber. As per IEC 60068 -2-68, pulses of particles with sand grains are blown at the PV module from four different positions for 90 minutes each and at wind speeds of 9m/ s. After this test sequence, the modules are re-tested to measure power degradation, dry insulation resistance and wet insulation resistance. The composition of the employed (sand, dust etc.) particle grain size and origin is usually further specified in the certificate issued by the testing body. Nevertheless, IEC 60068 -2-68 has its limitations though. Sand grain qualities and sizes, temperatures and even potential wind speeds in every desert and desert region can vary a lot. Existing international standards – and this not only applies to desert climates – fail to address the various, often unique climate and environment conditions of earth’s many different deserts with specific testing protocols and pass/ fail criteria. 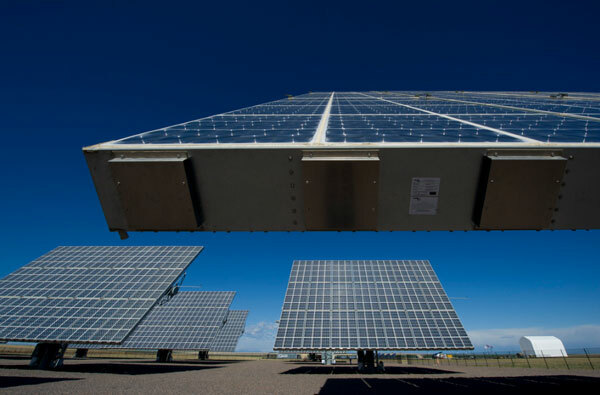 On the international level, concentrator PV (CPV) modules are generally tested and certified to the standard IEC 62108 (Concentrator photovoltaic (CPV) modules and assemblies – Design qualification and type approval). IEC 62108 specifies the criteria for the design qualification and type approval of CPV modules and simulates extreme environmental conditions to which the tested CPV module samples are exposed. 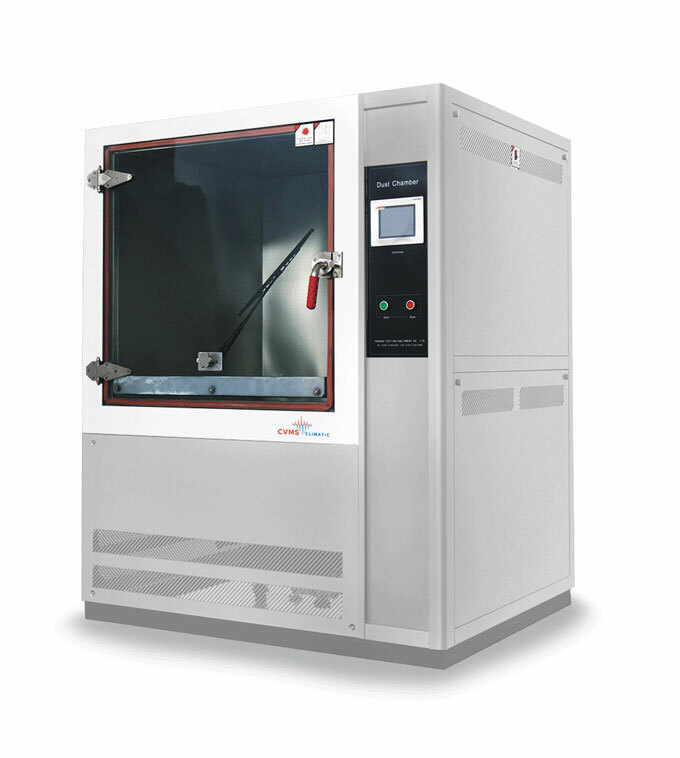 IEC 62108 specifies accelerated aging test sequences: the modules are exposed to mechanical and climatic/ environmental stress, including a mechanical load of Pa 2400, temperature cycling, damp heat and even hail. IEC 62670-1 (Part 1: Standard conditions), which stipulates standard conditions to measure the power produced by CPV modules with the objective to define a consistent basis set of power ratings to be used by CPV manufacturers on the module labels and in the product datasheets. IEC 62670-2 formulates the requirements to measure the on-sun output and performance ratio for CPV modules and CPV applications, including arrays and power plants. Measurement techniques to determine the output performance of multijunction and single junction concentrator photovoltaic cells are formulated in the IEC 62789 standard which is however per se a testing procedure without pass/ fail criteria for cells. For operation in North American deserts, CPV modules will rather be tested and qualified according to UL 8703. It is similar to the IEC 62108 standard, including damp heat cycling, humidity-freeze cycling and UV preconditioning testing. UL 8703 covers modules with maximum system voltage of 1500V. However, as with virtually all standards, these standards have very limited assuring value regarding the quality and long-term performance of a CPV module, as they are rather general in nature, only geared to a few qualifying test samples and don’t entail long-term real-world testing which is in praxis is of course not mass-commercially viable. Thus, comprehensive long-term performance testing in the field has to be and is actually performed during which the CPV modules are monitored and analyzed for future design improvements. The existing IEC and UL standards fail to address uniformly the particular and diverse conditions of deserts, characterized by the exposure of CPV modules to sand and dust at varying wind speeds. Thus, as CPV modules in deserts likely face manifold types, forms and grain sizes of sand and dust, they need to offer high ingress protection. The standard IEC 60529 defines various ingress protection (IP) codes according to which devices such as CPV modules can be built to qualify for a certain ingress protection rating. For deserts, CPV modules should offer a solid particle protection level of IP67 – dust tight, which is the highest code level. In terms of liquid ingress protection, the standard ranges from 0 unprotected to 9K – water-tight against close-range high pressure, high temperature spray downs. For deserts which have only limited precipitation, water ingress protection qualification as per IPX7 – immersion up to 1 m – is often sufficient, thus combining to an ingress protection rating of IP67. IP67 is a standard ingress protection rating for many PV module components, such as junction boxes. CPV manufacturers build ventilation systems into their modules to keep off ingress and accumulation of dust and sand and also to cope with the pressure differentials due to temperature changes when dust and sand storms approach. The King Abdulaziz City for Science and Technology (KACST) PVLAB in Saudi Arabia has developed three desert condition tests which involve equipment used during the aging test of IEC 61215, salt mist test (IEC 61701) and ammonia corrosion resistance test (IEC 62716) with added sand chamber testing. Desert Farm test: simulates desert and farmland conditions and involves testing with a UV chamber, ammonia chamber and sand chamber. These tests are conducted on-site by KACST PVLAB. To ensure compliance with local environmental conditions in Saudi Arabia, it is planned that certification by KACST will become mandatory in future for modules to be installed and operated in the largely desert country of Saudi Arabia. The Near and Middle East are literarlly increasingly becoming hot in the eyes of PV project developers and manufacturers, which is why more and more solar module producers aim to offer ‘unique’ solar modules specifically designed for mild and hot desert climates. Apart from the limited framework of desert qualification testing and certification such as per IEC 60068 -2-68, there is more manufacturers can do and are doing: desert climate comparison testing. While performing 3% better than competitors or being able to endure 5°C more are nice figures, so far, the jaw dropping, outstanding PV module for a(ny) desert climate is yet to be developed. Nevertheless, in order to improve design (and get nice data to show off), some manufacturers as well as testing laboratories conduct PV module comparison tests in arid, desert climates, observing modules under real desert conditions and thus to identify the best performers, separating the wheat from the chaff.